The LVI curriculum covers a wide range of leadership topics through an engaging, dynamic and practical learning experience. It is constantly evolving to meet the unique needs and challenges of each group of participants. Participants should expect to receive at least 150 hours of mixed styles of instruction, spreading over a period of ten months from September to June. Held on a Thursday evening at Vancouver Island University, this short orientation session introduces participants to each other and provides an overview of the LVI program. The LVI cohort of 2016-17 gathers for their opening weekend retreat at Mesashie Lake. These eight, full-day seminars take place one Friday per month in a variety of different Island locations between October and May, with a graduation ceremony held in June. Each Leadership Day (LD) focusses on a distinct theme or topic related to leadership. 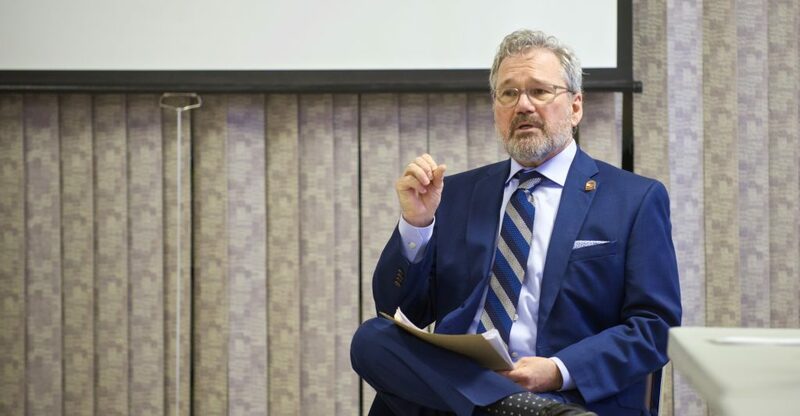 Bruce Williams of CTV Vancouver Island speaks with LVI Participants about how to connect with community stakeholders during LD #4. Working in diverse teams, participants are tasked with the creation and execution of a community project in cooperation with an existing community organization of their choice. This gives participants the chance to experiment with new skills and ideas in a supportive setting that allows them to push their boundaries while making real positive impacts in their community. 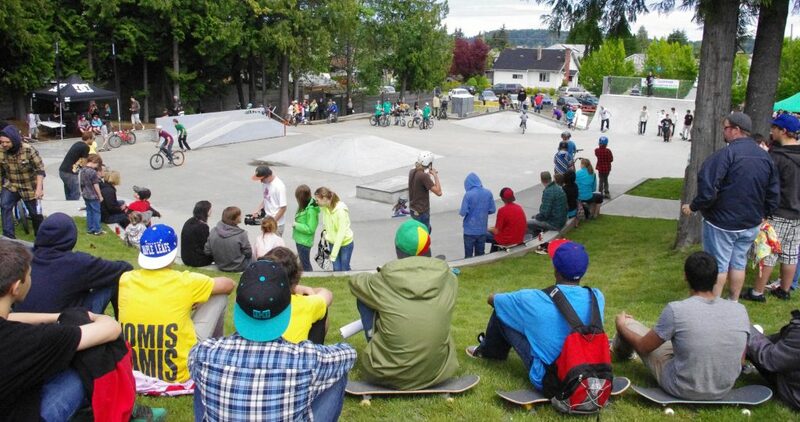 Did you know the Ladysmith Skate Park was a LVI project in 2010? Click the picture above to learn more. Each participant has the opportunity to work with a certified professional coach throughout the LVI experience. This can be an immensely valuable and enriching part of the LVI learning experience that gives participants an opportunity to identify solutions for themselves through engaging dialogue with professionals who specialize in leadership development. How do I know if LVI right for me? 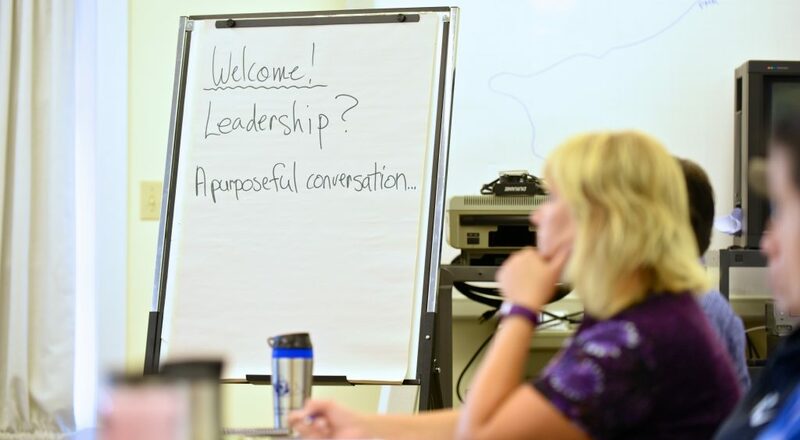 The LVI program is perfect for anyone with a sincere interest in developing their leadership abilities and becoming part of a network of informed community leaders. The program is well tailored for those who are pursuing personal or professional goals, aspiring to leadership roles or seeking a better sense of confidence and self-awareness. Coming from a wide variety of backgrounds and economic sectors, LVI participants typically study at post-secondary institutions or work in the public, commercial, industrial or not for profit sectors on Vancouver Island. Some participants are sponsored by their respective employers, others enroll independently. Commitment to serve their respective communities in alignment with their personal values and capabilities upon completion of the program. In keeping with our mission of connecting Island communities, our team delivers each Leadership Day at a different location on central eastern Vancouver Island every month. This makes LVI’s East Coast Program ideal for those who live, work, or study between Duncan and Parksville. For those residing south of Duncan or north of Parksville, please reach out to us to discuss how we might be able to assist. Investment in the LVI Program is $2,500 per participant. This covers all costs associated with the program, including the overnight retreat, all eight leadership days, one-on-one coaching sessions, team support, snacks and refreshments, and administrative costs associated with the coordination of the program. This is exceptional value for a professional development program of this length and quality, made possible through the volunteer efforts of LVI’s board of directors, coaches and curriculum team. Yes! Scholarships are available for those who would not be able to afford the program without financial aid or support from their employer. Prospective participants interested in a scholarship should include a letter explaining their need for financial aid when submitting their application. Scholarships are limited. Who delivers the LVI program? 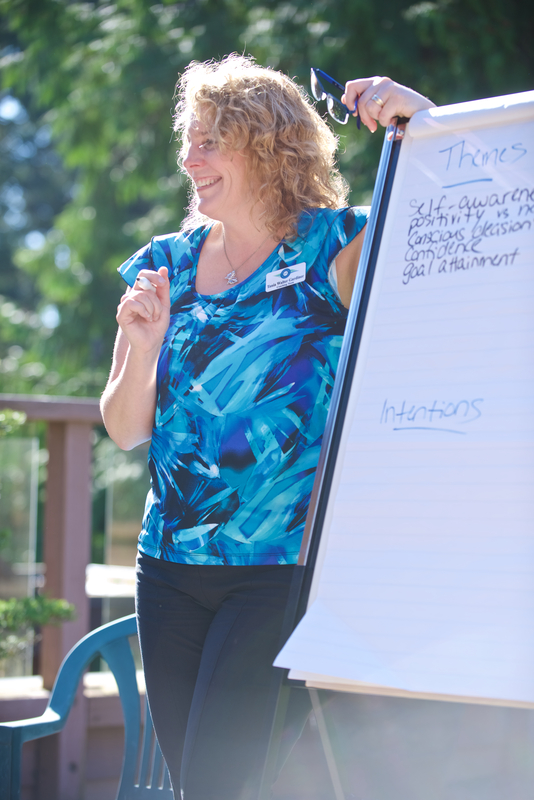 The LVI program is coordinated by the Leadership Society of Vancouver Island and delivered by an exceptional team of professional facilitators, university professors, business professionals, and community leaders. By combining facilitators from a variety of backgrounds, LVI participants are able to gain insights into the hidden challenges and opportunities that exist within their own communities while gaining a better understanding of the dynamics that impact various aspects of their community, economy, and society at large. Your leadership journey starts here!